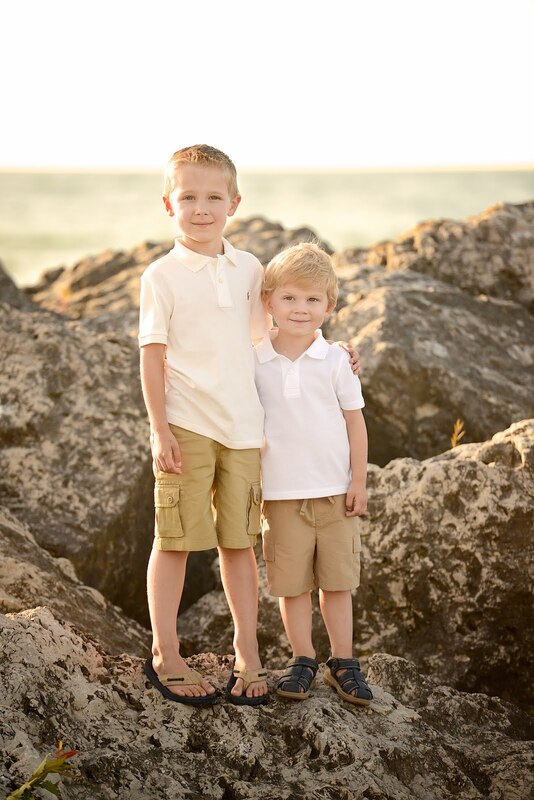 The Glamorous Life of a Housewife: My Boys. There is something very unique about a Father/Son relationship. At the end of the day, when Husby walks through the door, Levi's face lights up and his eyes sparkle in a different way. A way they only do for him. And his daddy loves him. Husby always comes to the rescue with fun new games after I have bored Levi to tears with his standard faves. He hoists him up on his shoulders and lets him view the world from an entirely different angle than I can show him. They play, they giggle, and they have their boy time. 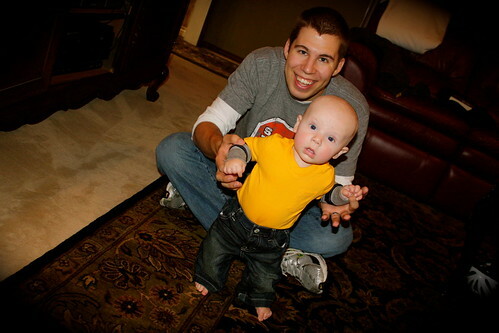 Husby often speaks of the great things he and Levi will do together one day. Conjuring up fabulous gifts to give Mommy. Wait. Maybe I added that. Husby has been above and beyond the daddy I imagine him to be. I knew he would be good, I just never dreamed he would be this good. 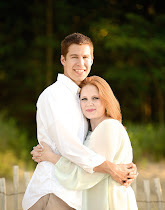 I love watching their love for one another flourish. I love watching the excitement in each of their eyes when they're together. I love watching Levi grow up following in his daddy's footsteps. There's no one else I'd rather him follow. Beautiful pictures. That Darin is a keeper for sure. It's so true! The father/son relationship is incredibly special to witness! 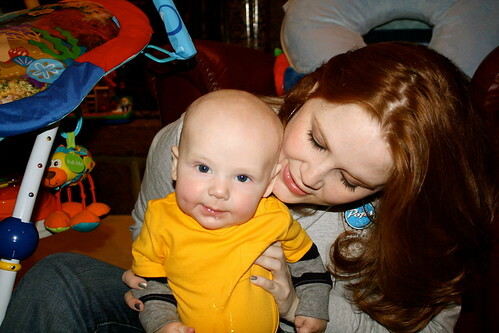 Your little fam is so cute, Whitney! Don't you just love how God arranged this parenthing thing. Kiddies need both parents equally, and it's so awesome to see that in action. Such sweet pictures of Daddy & son! Such sweet pictures! Darin is a good dad. Aren't we lucky, lucky ladies to have such good husbands who have now become good fathers? Truly blessed. 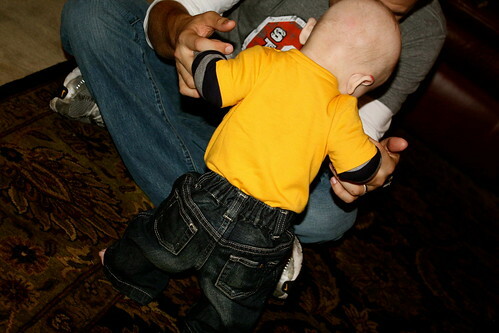 Levi's little jeans are adorable! 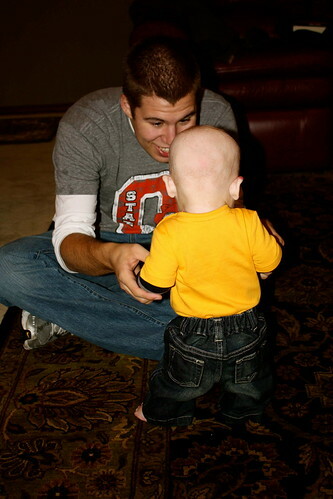 The pics of him and D are presh. I bet they have so much fun together. Your camera is taking great pictures. They seem so clear. I've been reading your blog for awhile, I'm friends with Megan (In this Wonderful Life) and found your blog there. 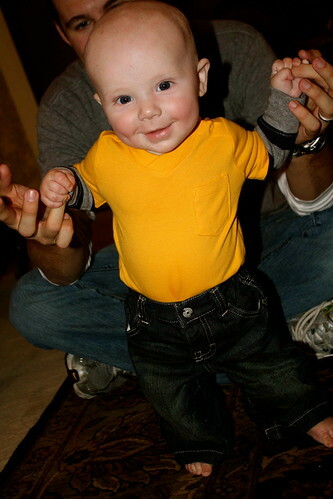 Anyway, I think I saw your sweet Levi and daddy walking in to target (71st & 75) yesterday as we were leaving. If that was them, my husband and I were laughing because we have the same car seat and diaper bag. ha! 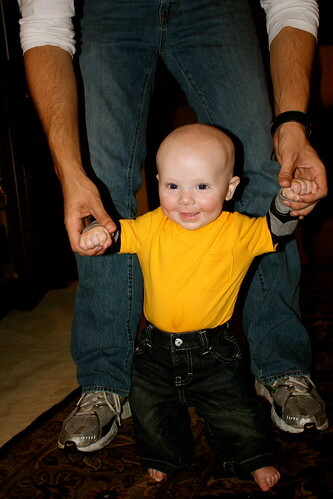 I am just loving those little jeans you put Levi in! Too cute! Love all of the photos, but the second from the last one is my favorite. It's a framer for sure. So sweet! That Levi is just simply adorable. Keeps getting cuter and cuter! Your post gave me goosebumps! He sounds like an amazing father. And of course you are a wonderful mother. I think little Levi is very blessed and you as well. It is so heartwarming to see such a happy family! Oh my! He's got to be the cutest thing in life!!! As I always said about D and his daddy - "like father, like son". So proud that HE followed in his daddy's footsteps. Awww-so cute! If I saw right, it looks like your hubby is a pokes fan-go OSU!